4/5/16 Hudson holding his own pacifier in! 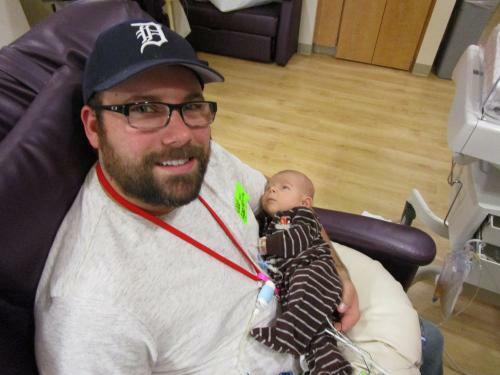 Hudson's dialysis has been increased from 60 mL/hour to 75 mL/hour. The end goal is 120 ml/hour which is considered a full dialysis. Then he should be able to stop hourly dialysis and be switched to the 8-10 hour nightly dialysis. Hudson did so well with his 23 mL of breastmilk that today he will get to go up to 30 mL of breastmilk which is half way to a full feeding! Hudson is also doing a great job breast feeding! I spent the weekend being there for a couple of his feedings and each time he has been able to nurse longer and longer. Today he nursed for a full 15 minutes at his 11am feeding which is just awesome! The doctors are talking about moving him out of the NICU within the the next few weeks up to the renal (kidney) floor. Once Hudson gets up to the renal floor, Bryan and I start our training on how to administer dialysis to Hudson at HOME! 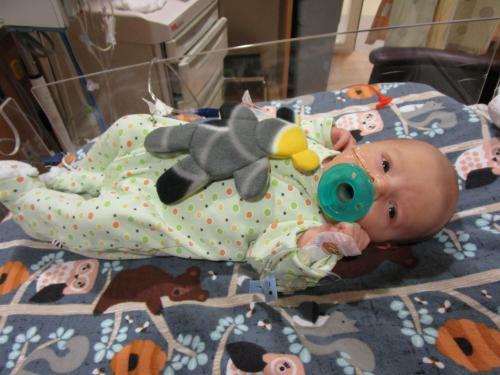 HIGHLIGHTS: Nurses, doctors, and respiratory therapists keep checking in on Hudson to see his amazing progress! The kidney doctor was surprised to hear that Hudson has been urinating! (supposedly being on PD "could" make you urinate less or none all together). Hudson continues to be a testimony of God's kindness and goodness to all the staff here at Riley Children's Hospital! +Continue to pray for his kidneys to produce urine. +Pray for Bryan as he heads back to work tonight. This will be a big adjustment for all of us. 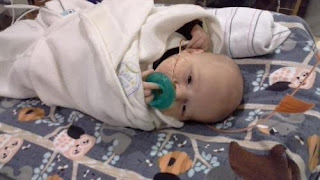 +Tomorrow Hudson will be taken off the phenobarb (seizure medicine). Please pray there are no affects from stopping it and he continues to remain seizure free. +Pray Hudson adjusts well to the daily increases of feedings and dialysis. 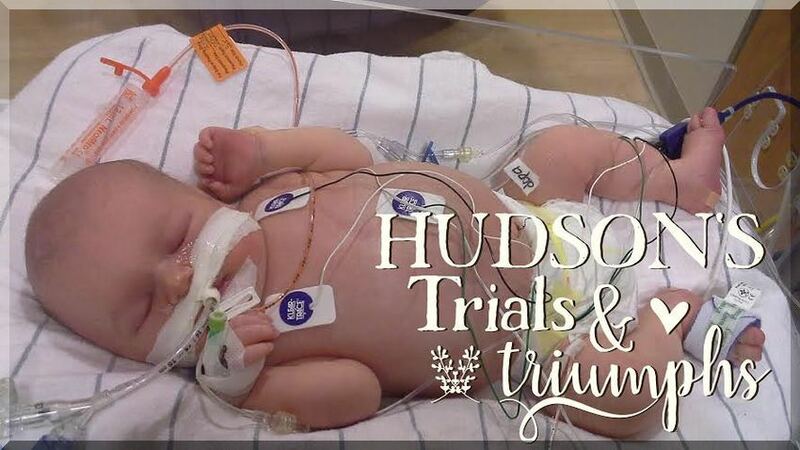 +Pray Hudson continues to remain infection free. +Continue to pray for Annalese (10), Alivia (5), and Abigial (3) during this time. 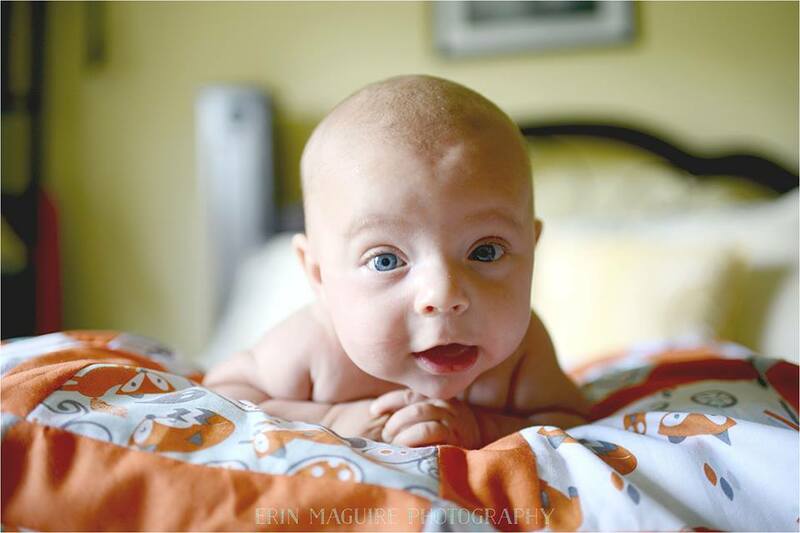 +Jessica's recovery from her c-section and for continued success pumping. All of the prayers, comments, likes, shares etc...have been seriously overwhelming to Jessica and I. Facebook has been so encouraging to us too, thank you so much for the continued support, it really makes a difference!